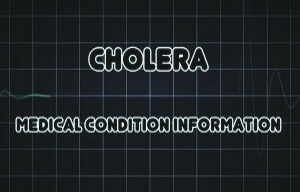 Cholera is an acute, infectious disease that normally affects humans and domestic animals. It is caused by the bacteria, Vibrio cholerae. The most common symptom of cholera is abdominal cramps and diarrhoea. The infection and the symptoms usually last for a week and if not treated properly or at the right time, cholera can also result into death. So the best way to protect yourself from cholera is to prevent the infection. In this post, i shall be showing you some tips, to prevent cholera. Read on! Ensure that the water you intended drinking is tested for any bacteria from an accredited laboratory. If the samples test positive for the bacteria, inform your civic body or sanitation officers . Avoid drinking that water directly. Boil it for a long time before drinking or using it for cooking. Also, if you use a water purifier, get the water samples after purification tested. If that too tests positive, call the service provider and get the filters replaced. To maintain personal hygiene, hands should be washed for a minimum of one minute with soap and rinsed with clean water. Make sure your server or cook also washes his hands clean before cooking and serving. This should be a must. Always ensure that your cooking utensils and cutleries are always kept clean. Your food should be hot and should be consumed within two hours of cooking. As time passes, the bacterial load in the food starts increasing and you are more likely to get an infection. Also, avoid eating food that has been cooked in the morning for dinner and vice versa. Cut your finger nails regularly and make sure your cook or server also cuts his nails regularly and does not have any dirt in his nails. Avoid touching things unnecessarily. Also, avoid putting things in your mouth like chewing on a pen cap or biting your nails. Ensure that your children or ward do not engage in such act either.